Millions of years ago a fissure cracked through the crust of the Earth and erupted lava, creating a volcanic hot spot. Today we know this hot spot as the Hawaii Hot Spot and it is responsible for the creation of a chain of islands that span 3,600 miles, from the Aleutian Trench in the northern Pacific to the Hawaiian Islands. These islands are referred to as the Hawaiian-Emperor seamount chain of islands and the chain contains 129 volcanoes. It is one of the greatest concentrations of volcanoes in the world. Seventy million years ago the hot spot first appeared and over geologic time it slowly shifted its position due to plate tectonics and hot spot movement. The hot spot currently rests under the Big Island of Hawaii, which explains why the Big Island is home to some of the most active volcanoes in the world. The Big Island also offers much more than volcanoes, and that’s why we at Backcountry Journeys host a winter workshop on the Big Island each year. The Hawaiian Islands are miraculous, in all aspects. The Big Island is the youngest of the Hawaiian Islands and is slowly growing thanks to the five volcanoes on the island that have been slowly enlarging the island via eruptions and lava flow. Those volcanoes are Kohala, Mauna Kea, Hualalai, Mauna Loa, and Kilauea. Kohala is the oldest volcano on this island and last erupted about 60,000 years ago, it is currently extinct. Mauna Kea is dormant ad last erupted 3,600 years ago. Hualalai, Mauna Loa, and Kilauea are all still active. Hualalai last erupted in 1801, Mauna Loa last erupted in 1984, and Kilauea had been erupting since 1983. Kilauea was considered the most active volcano in the world, but after a spike in activity this past summer Kilauea has laid dormant ever since. 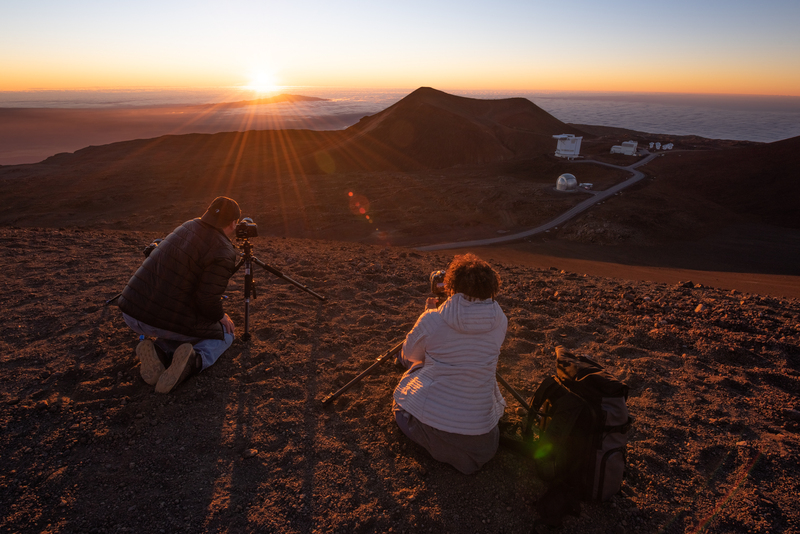 Thus, our workshop focused on other aspects of the Big Island and included a photo shoot from the summit of Mauna Kea, the tallest mountain in the world if measured from the sea floor. The Big Island also holds the most massive mountain in the world, Mauna Loa. Too many exciting things to cover, but we can get to those famous mountains later, let’s begin with Day 1. We started our epic journey on the eastern shores of the Big Island in Kona. 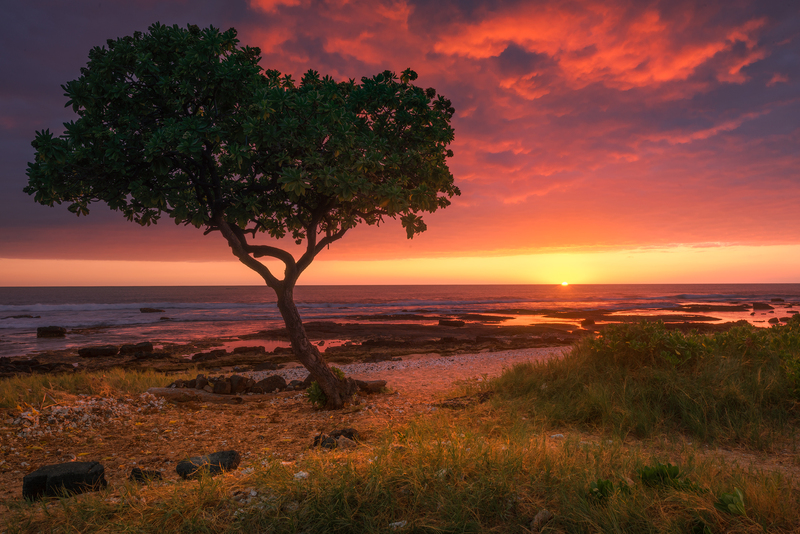 Two major cities comprise the Big Island, Kailua-Kona in the west and Hilo in the east. Kona is the drier and warmer of the two. 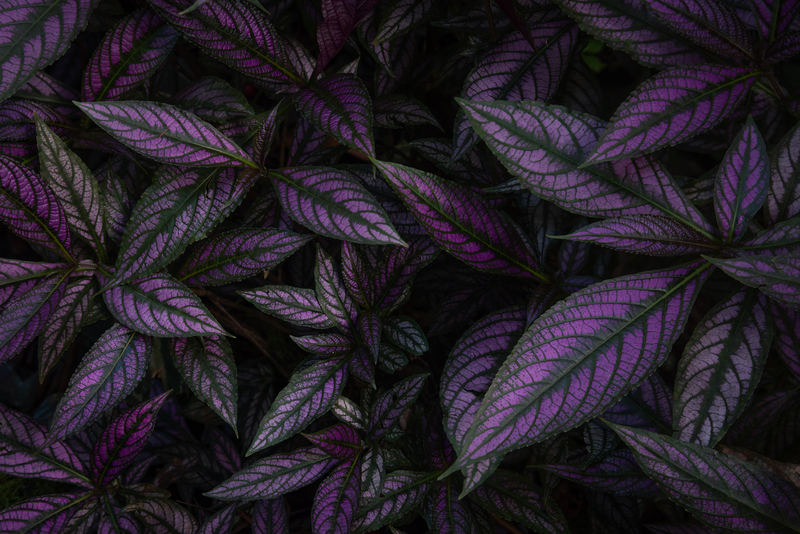 It is the hottest place in the US on average in January and averages 32 inches of rainfall a year, compared to the 150-200 inches of rainfall on the Hilo side. Day 1 began with a short orientation and dinner meeting at the King Kamehameha Hotel. Our group was great and we were all excited for our first full day of action. Kona is a great place to start our workshop, it has beautiful weather and also offers great access for humpback whale viewing. Humpbacks are majestic creatures, averaging 45 ft in length and around 30 tons. The northern Kohala Coast is a famous place to view humpbacks during their annual migration. About 18,000 humpbacks out of a total global population of 80,000 winter around the Hawaiian Islands. These big whales often travel distances of 6,000 miles or more between their summer and winter grounds. We spent our first full day out chasing the whales and seeing if we could capture a humpback breach. We were treated to a beautiful day, one of the calmest days on the water that I’ve experienced. We saw plenty of humpbacks, no breaching, but lots of fin smacking and we even ran into a nursery group of female humpbacks with calves. 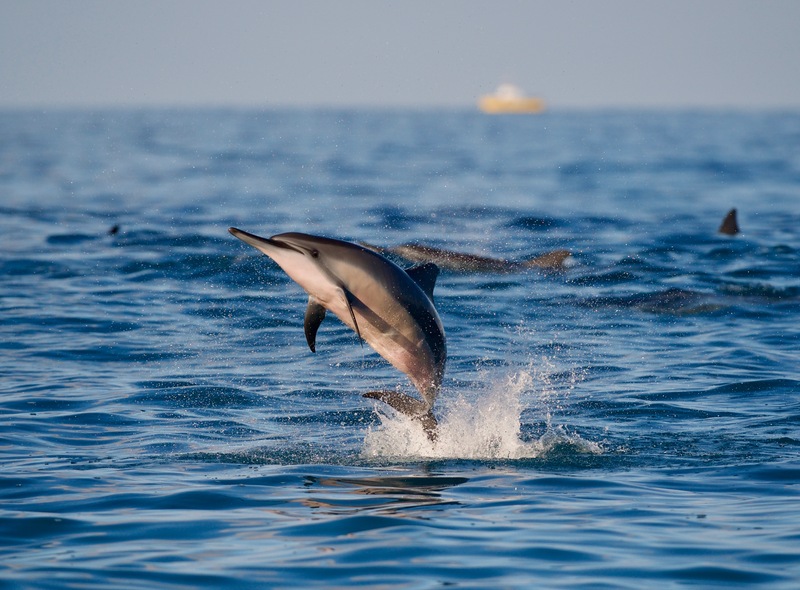 Along the way, we ran into two pods of spinner dolphins, which put on a great acrobatic show for us as well. It is amazing to think that the same whales we photographed in Hawaii could potentially be photographed by other Backcountry Journey guests on our Marine Wildlife of Alaska: Kenai Fjords workshop. Many of those humpbacks in Alaska migrate south to Hawaii. After our boat excursion, we headed to a great local restaurant called Broke Da Mouth Grindz. Hawaii is famous for its hole in the wall restaurants and cafes. Finding them is difficult, but if you do, they often hold the spot for ‘best meal during the trip.’ We had some fantastic local dishes and prepared for a sunset shoot over Kailua Bay. Just a few minutes north of our bustling hotel, Kailua offered a quieter refuge. It also gave us an absolute fireball of a sunset. We made the most of the light. Some of use made use of the interesting trees that lined the shoreline and others set up for timelapses. As quick as the light graced us it was gone, and we returned to our hotel to prep for an early morning. Day 3 brought us to one of the most spectacular places on the island, the Pololu Valley. The Big Island is quite unique, it has 8 out of 13 of the major climate sub-zones found throughout the world. That was obvious during the week as we drove all around the island, but it was even more noticeable as we transitioned from dry, arid desert to a lush valley, resembling a landscape more similar to those on Maui or Kauai. We got the clouds we asked for at Pololu, but we waited and waited for the sun to break through…it just never did. We did get some color in the sky and enjoyed standing at the edge of a hundred-foot cliff with one of the most beautiful vantage points on all the Hawaiian Islands though. The rest of Day 3 brought a long drive across the Saddle Road. The Saddle Road bisects the two great mountains on the island, Mauna Kea and Mauna Loa. Both mountains are over 13,500’ in elevation and we would return to Mauna Kea later in the trip for sunset. Our long Day 3 drive brought us to Volcano in the southern portion of the island. Volcano is home to, well you guessed it Volcanoes National Park. The park is home to the Halemaʻumaʻu Crater, which once was filled to the brim with a lava lake. It’s been dry since last summer, but we still peaked out over the caldera from the Volcano House. Day 3 was definitely a long day, but it was our only change to hit some of the great spots on the south side of the island. The most notable being Punaluʻu Black Sand Beach. Although a beautiful black sand beach, it’s known for its population of ‘honu’ that spend time resting and sunning on the shoreline. The honu or green sea turtle is a pretty special sight to see and we were able to watch a small group of them during sunset at Punalu’lu Beach. They weren’t the most active or engaging group, but what can you expect from some turtles. The green sea turtle is endangered across most of its range, however Hawaii is a hopeful case. Once endangered in Hawaii, the green sea turtle has made a remarkable comeback and conservationists look to Hawaii as an example for sea turtle recovery. So, even though we weren’t able to experience an erupting Kilauea or full Hale’mau’mau Crater, we were able to still see the crater and catch some sea turtles. On Day 4, we shifted our home base to the west side in Hilo. Hilo gave us great access to beaches, waterfalls, and the iconic Mauna Kea. 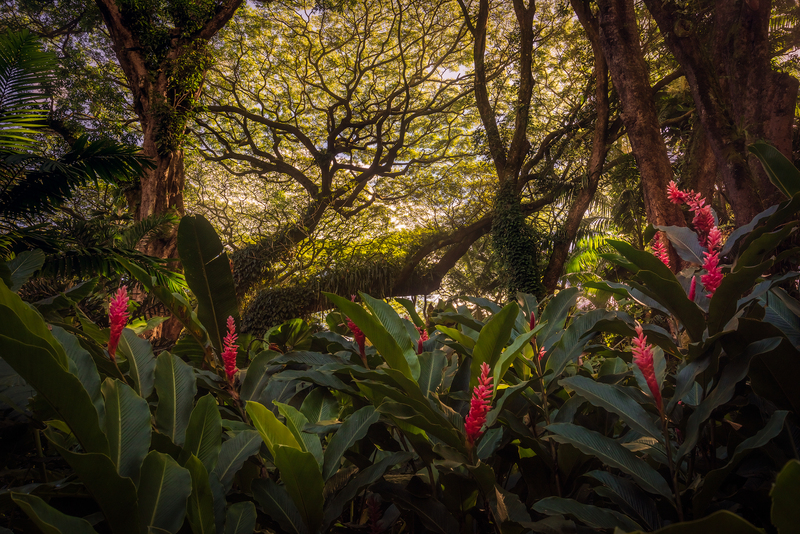 None of those were on the morning agenda though, our target was the Hawaiian Tropical Botanical Gardens. The garden houses over 2,000 species, a few waterfalls, and awesome view of Onomea Bay. It was one of the highlights of our trip and we spent about 4 hours exploring the grounds. Day 4 was action packed again, after the garden we turned our attention to the summit of Mauna Kea for sunset. Mauna Kea is 13,803 feet and we were sitting right around 0 feet in Hilo so we were concerned about how the altitude would affect us. We headed up at sunset and made it to the summit. We had an expansive view over the clouds, with Mauna Loa, Hualalai, and Maui all within our view. Going from 0 to 13,803 feet isn’t the best acclimatization plan so all of us were feeling a little woozy and ready to head back to Hilo after the sunset. Day 5 was more of a relaxing day after a few days packed to the brim. 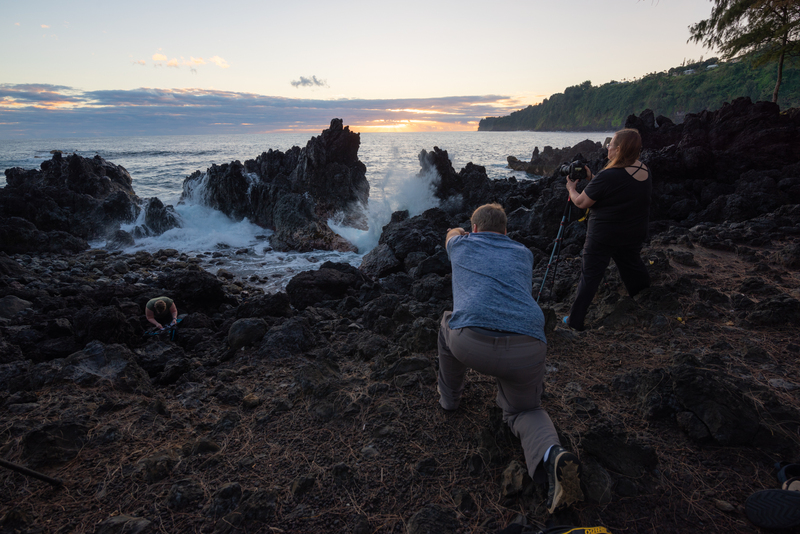 We started the morning with a sunrise shoot at my favorite beach on the entire island, Laupāhoehoe Point. 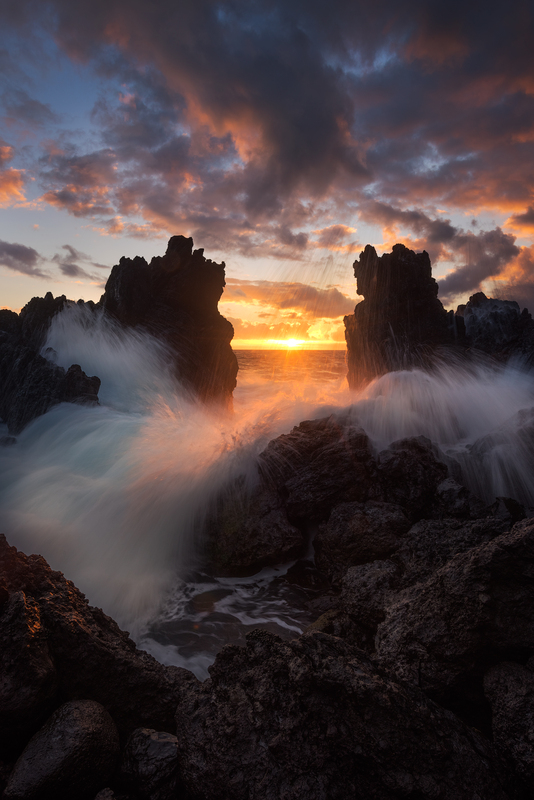 The point is a guarantee for incredible wave action, January is also a perfect time to photograph the point, as the sun rises perfectly over the sea stacks that litter the shore. The light was really good to us and we spent quite a while shooting in the morning. We retreated to the hotel for a little rest and headed back out again as soon as the afternoon clouds set in. Our goal was to hit a few of the waterfalls on the west side of the island. We photographed Kamaee Falls, Umauma Falls, and ended with Rainbow Falls. We reached Rainbow Falls at sunset and were able to include a nice sunset sky in our final photos of the waterfall. We concluded the day with a great meal at our hotel. The next day marked our final day together and we aimed to make the most of it. We started with an early morning drive to the Waipi’o Valley. We overlooked a sprawling coastline with a massive cliff, and even Maui peaked out its head. The benefit of visiting during no eruption or active lava flow was that we got incredibly clear vistas across the entire island. Usually, atmospheric haze and smog from the volcano cover the island. So, we all felt fortunate for such a great view. We also had the best sky of our trip on the last morning. Pinks, reds, oranges, and deep blues. It had it all. We grabbed breakfast at a nice local Hawaiian café and proceeded back to Kailua-Kona. We spent the afternoon doing some post-processing and set out for our final sunset together. We shot at Wawaloli Beach, a lava encrusted shoreline that offers some great pools and wells. The surf gets pretty fierce there so we were able to capture some great scenes of crashing waves and fast-moving water. And as the sun set, so did our weeklong workshop on the Big Island. You know what they say, time flies when you’re having fun. And a fun time was had by all. We enjoyed each other’s companionship and felt fortunate for all the great experiences we had during the trip. That’s such a great feeling, and one that us guides at Backcountry Journeys experience during every trip. 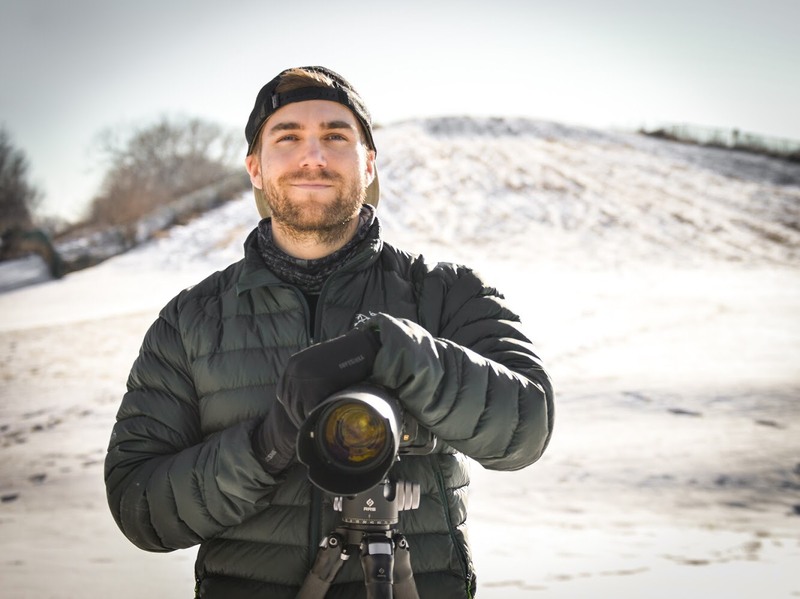 There’s nothing better that being in awesome places with a group of like-minded photographers. Thanks for reading and we hope to see you on a trip soon!